When I decided to start offering cooking classes at our little guesthouses in the Flint Hills of Kansas, I wasn’t sure what to expect. I sort of figured that interested folks would go to one class and see what it was about and that would be that. But that wasn’t how is was to be. I have been very blessed that every time I offer a new cooking class, I have more people wanting to attend than at the last one! There seem to be two distinct groups who attend . . . my lovely regulars . . . and my ever-interesting newbees. In fact we are considering presenting one or two of our regulars with a perfect attendance award . . . but alas . . . the two top contenders have each missed one class! Perhaps a “Near Perfect Attendance Award” would be in order! The classes are so much fun and exciting because the dynamics of the people attending is always different. Different levels of cooking skills and knowledge and . . . whooda thunk it . . . different people! I don’t intend this as an advertisement but as friendly advice . . . if you are ever thinking about being in our area . . . 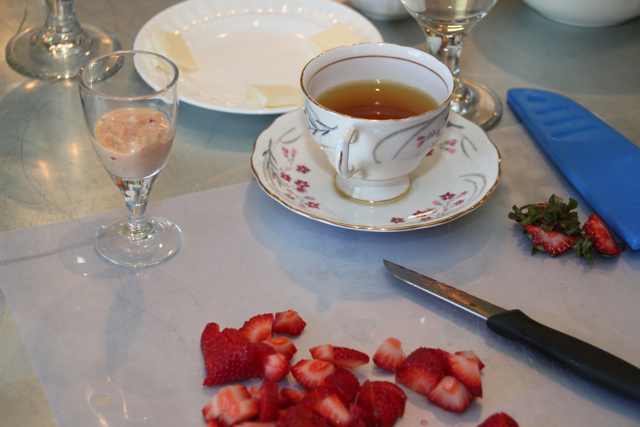 Check our Cooking Class Schedule . . . see if it works with yours. 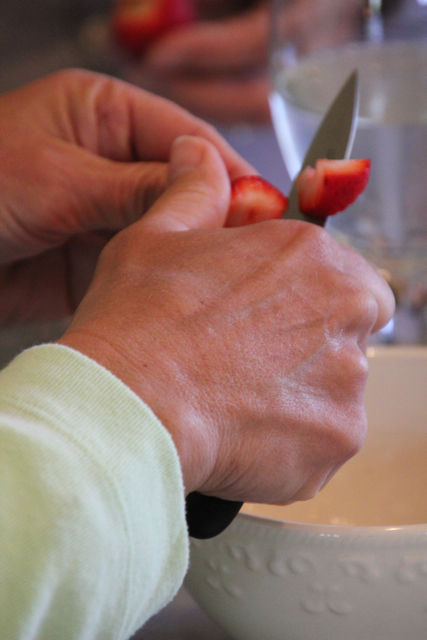 You owe it to yourself to come to one of our cooking classes . . . it is soooo much fun!! OK, enough about that. Let’s make some Mixed Berry and Thyme jam! Place the berries in a medium saucepan. Using a potato masher, lightly mash the berries. Add the maple syrup, lemon juice, orange juice, and thyme. 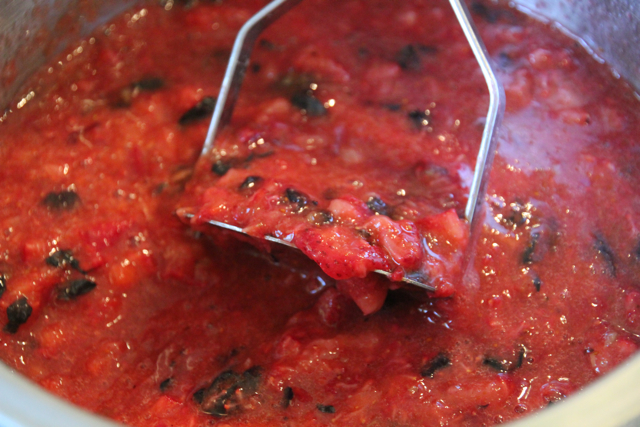 Bring the mixture to a simmer and cook, stirring occasionally, until thick, 50 to 55 minutes. 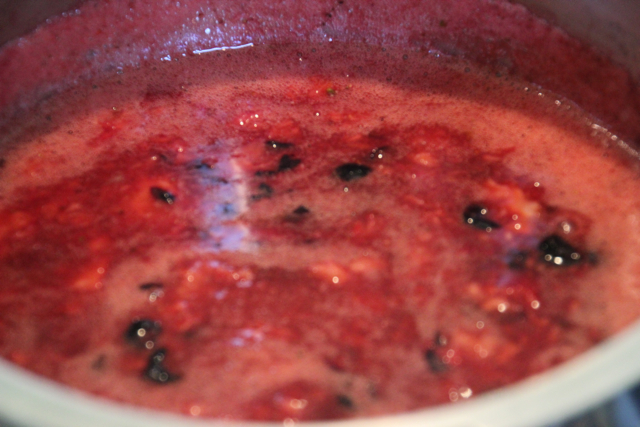 Cool to room temperature, about 1 1/2 hours (the jam will continue to thicken as it cools). Refrigerate in an air-tight container for up to 1 month. I think that pretty well says it all! This entry was posted on May 7, 2012, 2:26 pm and is filed under Cooking and Baking. You can follow any responses to this entry through RSS 2.0. You can leave a response, or trackback from your own site.